2/29: Reserve a room at a discounted rate at the Showboat Hotel for the 2014 National Finals here! All sales are final. No refunds or exchanges. Orders cannot be cancelled once they have been submitted by customer. Any and all credits are administered at the discretion of National Dance Showcase, and are made on a case by case basis. Absolutely no credits will be provided for costs associated with shipping and handling. If an item is out of stock at the time an order is placed, customers will be notified within 48 hours with an estimated date of delivery or the option to select a replacement item of like kind and of same value. We provide the information to trusted partners who work on behalf of or with National Dance Showcase under confidentiality agreements. These companies may use your personal information to help National Dance Showcase communicate with you about offers from National Dance Showcase and our marketing partners. However, these companies do not have any independent right to share this information. 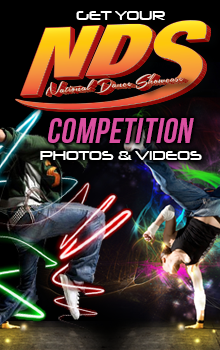 Usage of this site is restricted to parties interested in the services and offerings of National Dance Showcase.